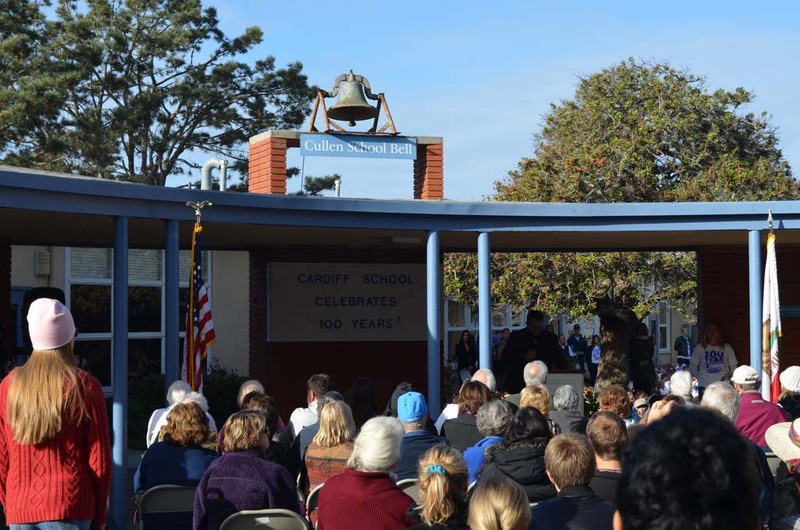 ENCINITAS — With hundreds gathered, Cardiff School’s historic Cullen Bell chimed 100 times on the morning of Thursday, Feb. 6 for a century anniversary celebration. To further mark the special occasion, a reception and student play on the history of Cardiff followed. When looking back at the community and Cardiff School’s past, Frank Cullen looms large, said Cardiff Principal Julie Parker on Monday. A painter turned developer, Cullen purchased large tracts of land in Cardiff shortly after arriving in 1910. He later donated land for a school, aptly named Cullen School, which opened in 1914. The school included what became known as the Cullen Bell. Bought by a school board trustee in 1924 for $28, the 250-pound steel bell dates back to 1828. “The bell is a significant part of our history,” Parker said. So much so that when the campus was rebuilt in 1950 and renamed Cardiff School, residents were disappointed that the design didn’t include a belfry for Cullen Bell. “They felt something important was missing from the community,” Parker said, adding that a bell tower was later approved due to popular demand. The bell no longer signals the beginning of each school day. But on Thursday, the 100th day of the 100th year of the school, 10 Cardiff residents, including Parker, each gave the bell’s rope 10 tugs. 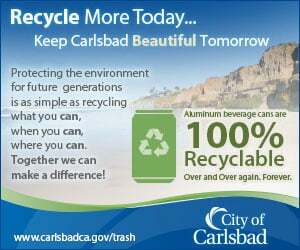 “I’m proud to be part of this community,” she said.